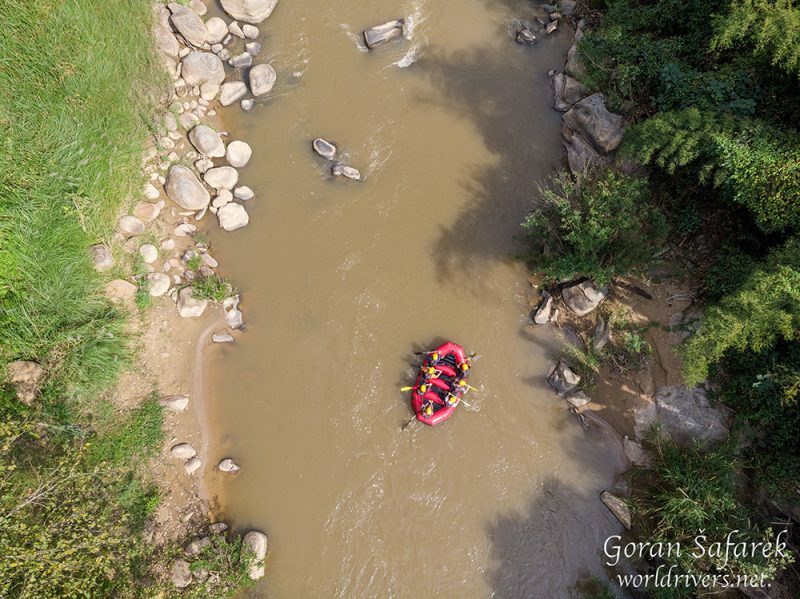 River and jungle adventure in Chiang Mai, Thailand - World Rivers Become a Patron! 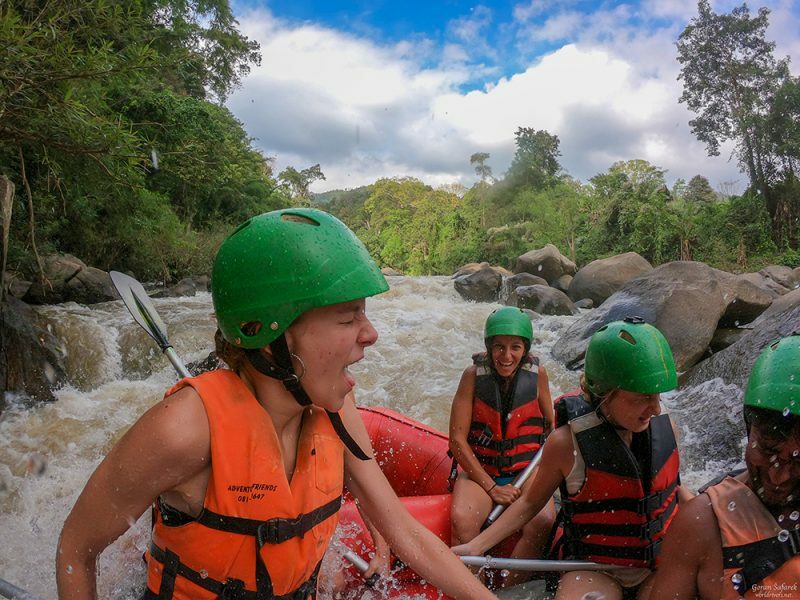 See our new video about our one day trip rafting in the wild river, exploring the jungle and beautiful waterfall and washing the elephants. 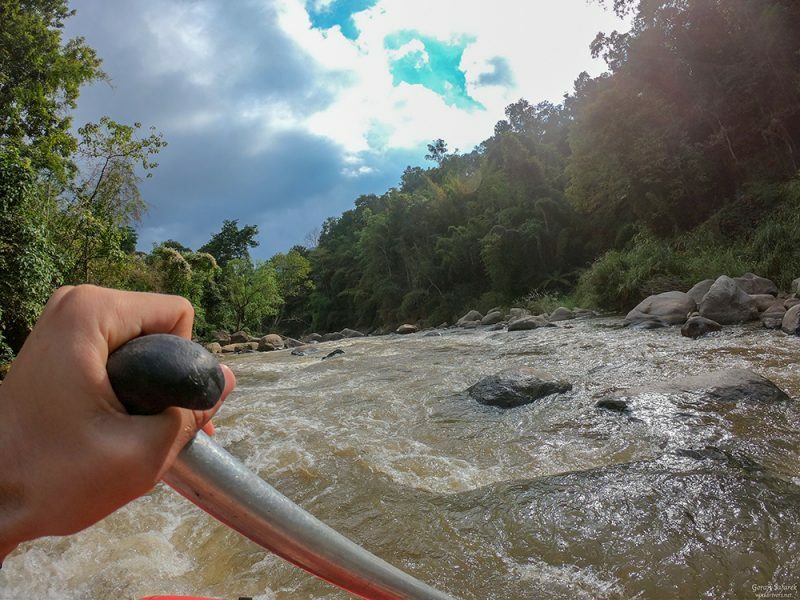 Chiang Mai is the center of outdoor adventures in Thailand. This northern city is far from the bustle of Bangkok and exotic landscapes of the southern coast but offers many activities for laid-back travelers. You can become a chef on a cooking class, or learn Muay Thai, but most of the people head to the north to enjoy nature. 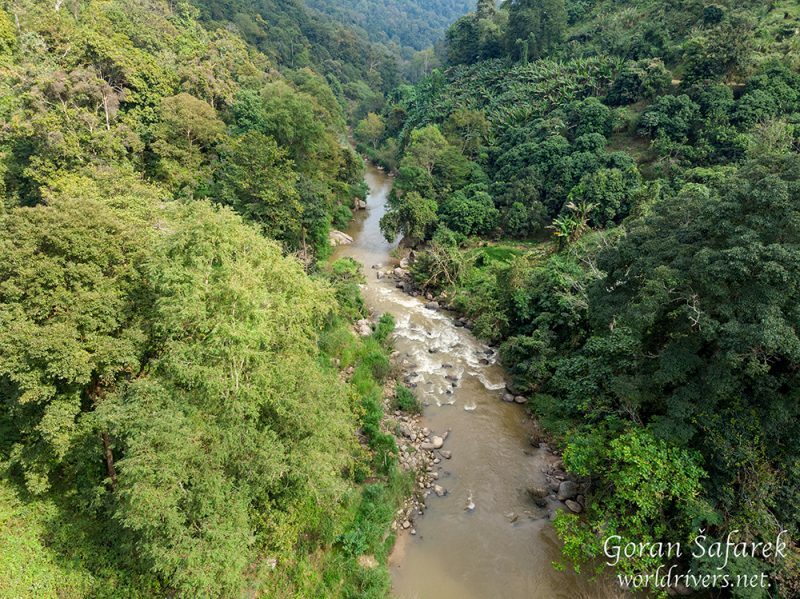 Lush forest in one of the highest mountains in the country, with wild rivers and high waterfalls are just some of the attractions. 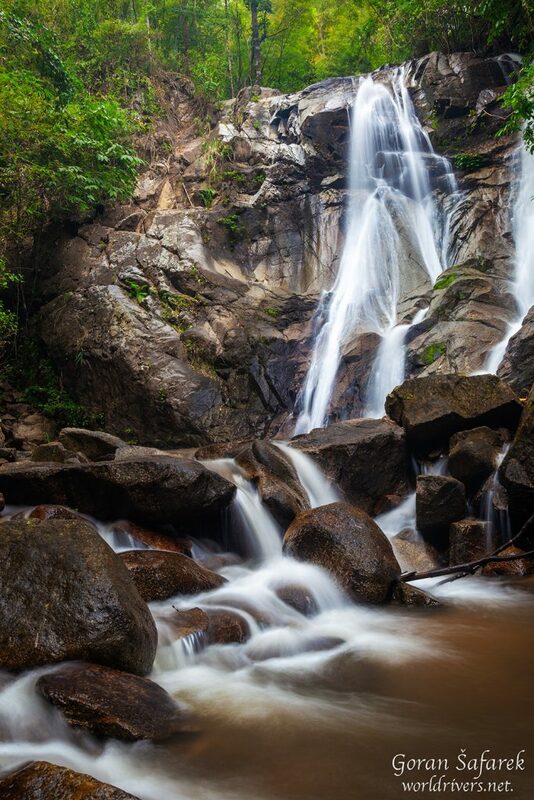 So we chose one of these one-day trips during our stay in Chiang Mai. For someone like me who at has survived the green hell of the Amazon, hunted black mambas in Africa and swam in the sea near the infamous Sentinel island, it might seem banal and boring, but hey, don’t dismiss any opportunity for nature J. Relaxing is welcome anytime. 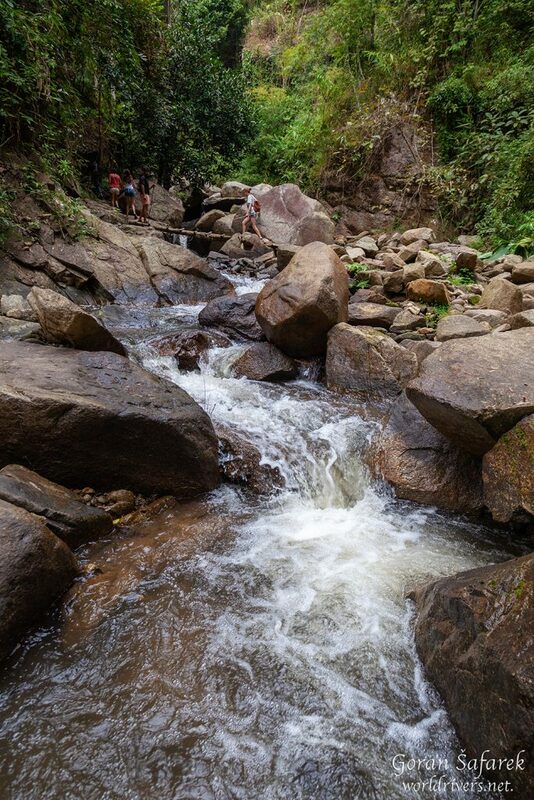 First, we enjoyed lush rainforest, following a small, but a lovely stream. 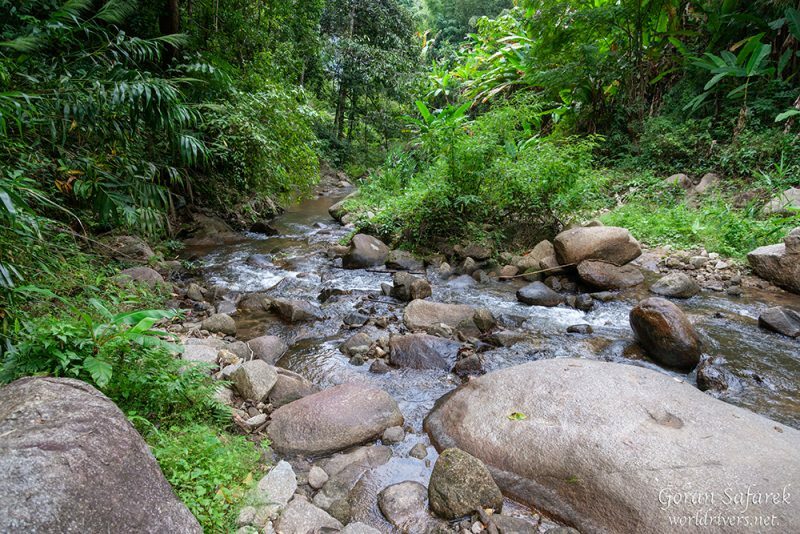 Hopping on the rocks and fallen trees across the water is always a bit risky, but you need just a little bit of extra care. 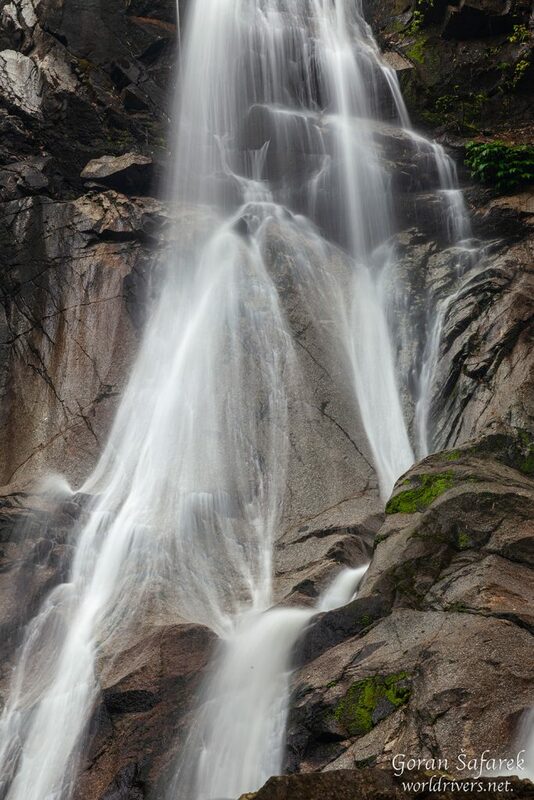 The stream ended up as an impressive waterfall, that plummeted down over colossal rock. Small pool beneath is a good chance to wash the sweat off the skin and refresh a little bit on a sweltering day. The natural shower is so nice! After jungle stroll, we jumped into the rafting boat. 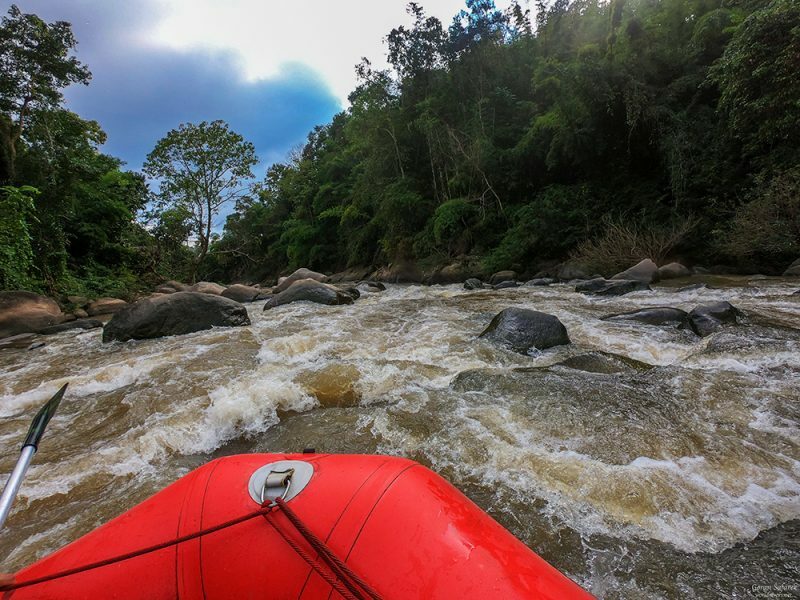 In charge of the experienced skipper, we have enjoyed both the environment and bouncing on rapids between large rocks. This is not a problematic grade, not more than 2 in this section, but still opportunity to get wet! It was more fun than adrenaline, but I didn’t mind. Finally, at the end of the day, we washed and fed the elephants on one of many orphanages for these tame giants. It’s effortless to arrange such a trip, just walking on the streets of Chiang Mai. It’s affordable for anyone.